Bajaj comes as one of the most popular brands not only in India but across nations. Bajaj auto is ranked as world’s fourth largest three and two wheeler manufacturer. This brand marks its presence in Latin America, Middle East and in South East Asia. Style, power, control and technology is what Bajaj Dominar 400 all about. Bajaj has given one of countries highest selling bikes i.e. Bajaj Pulsar. It had taken the entire nation by storm. Keeping the legacy high Bajaj has come up adding a new member to its family. ‘’Bajaj Dominar 400”. It does have a striking resemblance to the likes of Ducati Diavel. However, when it comes to looks, there is nothing more stylish, bold and macho than a Dominar 400. Its muscular looks are impressive and will make you fall in love with it. This bike is a combination of power, look and performance. Moreover, the sporty look does make it even bolder. The 373cc motor makes Dominar as one of the most powerful bikes produced in India. The engine is that of like of KTM 390 Duke. Apparently, Bajaj has added some additional technology to it for an improved performance. This is the first bike to get a complete LED-equipped headlight. Bajaj has also kept in mind about the safety of the rider and has equipped Dominar 400 with ABS (Anti Braking System) with BSIV engine. Below are the specific and precise specifications. Dominar uses the same single cylinder as used in KTM Duke 390. However, it has been remodelled in such a way that it produces 34.5bhp and 35 Nm of peak torque. The Dominar gives an average 26.50 kmph with a top speed of 148 kmph. You are just a click away to get your Bajaj Dominar bike insurance policy. Coverfox offers great discounts with top-notch insurers. And you receive the policy within few minutes of your transaction. Coverfox has a fantastic set of customer-centric advisors, and post-sales service managers who help you with after sale query. Supporting them is the claims team, who make claim as easy as a pie. It comes across as the one of the most powerful bikes in terms of looks and performance. However, we expected a little more with regards to the mileage of the vehicle which could add another feather to its cap. Since it's priced at Rs 1.42 lakh (ex-showroom Delhi), the price offered seems quite competitive. What are the specifications and features of Bajaj Dominar 400? The best feature of the bike will remain its sporty and sturdy look. The specifications are below. What is the mileage of Bajaj Dominar 400? The Dominar provides a mileage of around 26.5 to 30 kmph. Who are the top competitors of Bajaj Dominar 400? 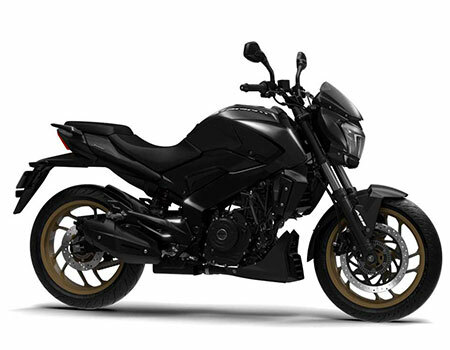 What are the colours available in Bajaj Dominar 400? Currently, it’s available in the following 3 colours.